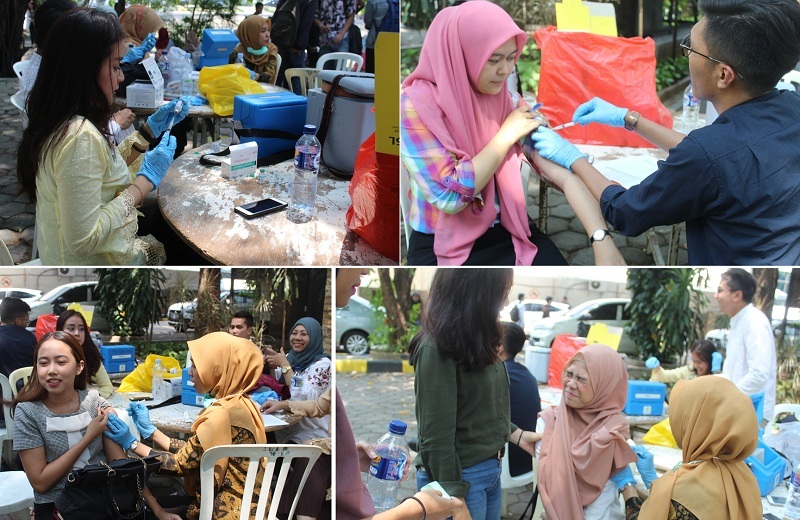 Esaunggul.ac.id, Student Executive Board (Badan Eksekutif Mahasiswa) Esa Unggul in collaboration with Duri Kepa Community Health Center (Puskesmas Duri Kepa), held the Diphtheria injections in front of the Holiq Raus Building, Friday (07/09). This Diphtheria injection is the third phase, after the previous ones was done in December and January. 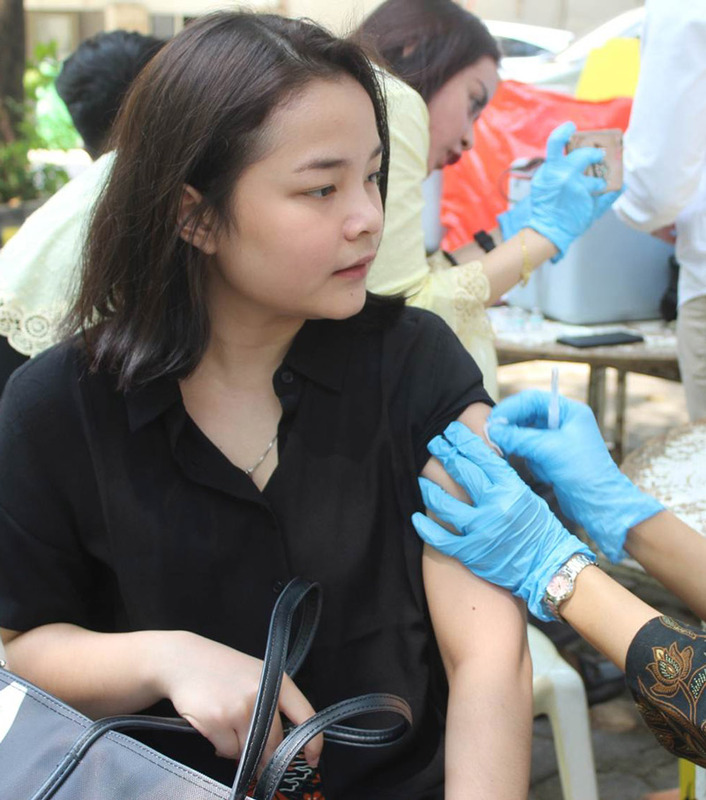 The Diphtheria injection program was able to capture nearly 1,000 students to participate. One of the committee members from Student Executive Board (Badan Eksekutif Mahasiswa) , M. Zuhri Azizs explained that the injection program was held again due to the socialization carried out by the Health Institution, in this case, Duri Kepa Community Health Center (Puskesmas Duri Kepa), that the Diphtheria injection process should be carried out through three phases of Immunization. “So there is a notification from the Community Health Center, that the injection should be carried out in three phases, the first injection is to form immunity, the second is to strengthen immunity, and the third one is expected to make the diphtheria to be gone,” stated Azizs at Holiq Raus Building, Esa Unggul, West Jakarta (07/09/2018). The scene during the Diphtheria injection. 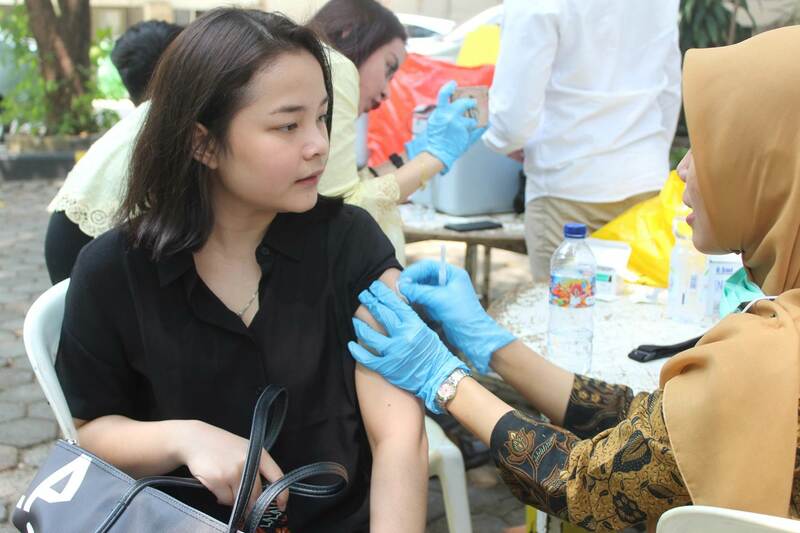 He also added that the Diphtheria Injection Program was the program of Student Executive Board (Badan Eksekutif Mahasiswa) which was held every year as a form of concern for student’s health. “It happened that this program was a continuation of our program last year, so we as the organizers took the initiative to continue,” he said. Azizs hopes that the program in collaboration with Duri Kepa Community Health Center (Puskesmas Duri Kepa) will be continued to increase awareness in terms of community health, especially students. “This is a very positive program so that in the future, hopefully it can be continued, and we hope students can be spared from the diphtheria outbreak, because this is a vaccine for prevention, so it is better to prevent it than cure,” he concluded.